It’s not too soon to start planning for Christmas. Christmas at Low Jock Scar is the perfect country hideaway for celebrating the festive season with family and friends. 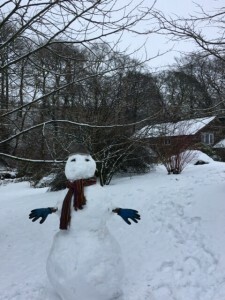 Cosy cottages provide flexible accommodation whether a group of friends or a family celebration. Log burners help keep the cold at bay as you survey the beautiful gardens through frosty windows in warmth and comfort. The trees now bare, reveal the distant hills that change with the weather. Mists hang in the valleys around frosty, snowy, peaks. 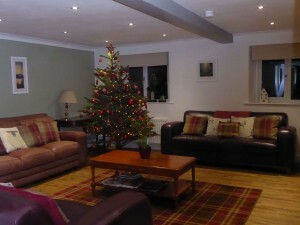 Real Christmas trees, beautifully decorated fill all four cottages with the scent of pine and Christmas cheer. The main house, Riverside can seat 14 guests around the main dining table and is the perfect location to get everyone together for Christmas Eve supper and drinks and that special Christmas dinner.